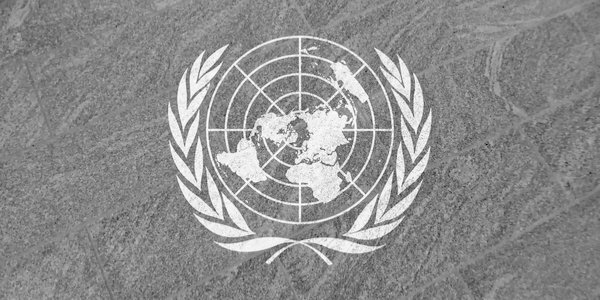 The United Nations, like other globalising bodies, is reaching ever further into the sovereign affairs of nation states. A global body creating a framework on how sovereign countries should handle migration sounds very like global governance. The UN Global Compact for Safe, Orderly and Regular Migration, due to be adopted by almost all member states in Morocco on 10 December, is a supposedly non-binding agreement designed to address vital issues. In its supporters’ estimation it is a symbolic agreement on how countries should co-operate on migration. The UN stresses the pact is ‘non-legally binding’ and ‘grounded in values of state sovereignty’. Given the influx of migrants into Europe in recent years and the chaotic reactions of governments to their arrival, it is easy to agree that it is essential to work out protocols for international co-operation to deal with a problem which is not going to go away. Yet a growing number of countries are critical of the UN document. It would make migration a human right, not just the right to leave one country but expanded to include the right to enter another as a migrant. Throughout the document there is no differentiation between legal and illegal migrants. The USA, Australia, Hungary, Austria, Poland, Bulgaria, Croatia, Denmark and Japan have refused to sign or voiced concern. The Swiss, who initially agreed to sign, are having second thoughts after opposition in both chambers of parliament and calls for a referendum. Stephan Harbarth of Germany’s CDU sees the pact as a means of making other nations increase their aid to migrants in terms of social benefits, thus reducing pressure on open-handed Germany. Britain has encouraged the formation of the pact. The document was approved by the UK when it was issued and it seems that we will sign in December. Likewise, Hungary’s Viktor Orban said in July that Budapest would boycott the pact because it was ‘dangerous for the world and Hungary’ and would ‘inspire millions to set out on the road’. This agreement is not about refugees fleeing persecution, or their already existing rights to protection under international law. Instead, the agreement propagates the radical idea that migration, for any reason, needs to be promoted, enabled and protected. Signatory states are not only supposed to open their borders for the migrants of the world, but should also help them pick and choose their future home by providing them with comprehensive information about each country they may wish to settle in, including its benefits system. Of the 23 objectives in the document, No 3 says nations will ‘provide accurate and timely information at all stages of migration’. Signatory states will commit to: ‘Launch and publicize a centralized and publicly accessible national website to make information available on regular migration options.’ In other words, signatory states must advertise and actively promote migration. Host countries are under obligation to develop ‘policy goals regarding the inclusion of migrants in societies, including on labour market integration, family reunification, education, non-discrimination and health’. This is in order to give migrants ‘access to decent work and employment for which they are most qualified, in accordance with local and national labour market demands and skills supply’. This means newly arrived migrants to Europe would have the same, or very similar, rights to education, work and health care as Europeans who have worked and paid taxes to gain access to those very same things. Practices accepted in Mogadishu must therefore be respected in London, Paris and Rome. Including the cultural practice of FGM, experienced by 95 per cent of Somali women? Most frightening is the Orwellian Objective 17. Signatories undertake to ‘promote independent, objective and quality reporting of media outlets, including internet-based information, including by sensitizing and educating media professionals on migration-related issues and terminology.’ Governments are to train journalists how to deal with migrant issues so as to produce ‘quality’ news. They are also committed to ‘stopping allocation of public funding or material support to media outlets that systematically promote intolerance, xenophobia, racism and other forms of discrimination towards migrants, in full respect for freedom of the press’. There is no definition of ‘intolerance’ etc. Any media outlet which questions migration risks saying goodbye to government advertising or access to press briefings. Objective 17 means governments committing to telling the media what to report, funding those who are compliant and punishing those who take an independent view. The tensions emerging over this document highlight the major political and philosophical gulf of our time, Nationalists vs Globalists. Those who respect and value the cultures, laws and traditions of their nations and those who see a multicultural future without borders.